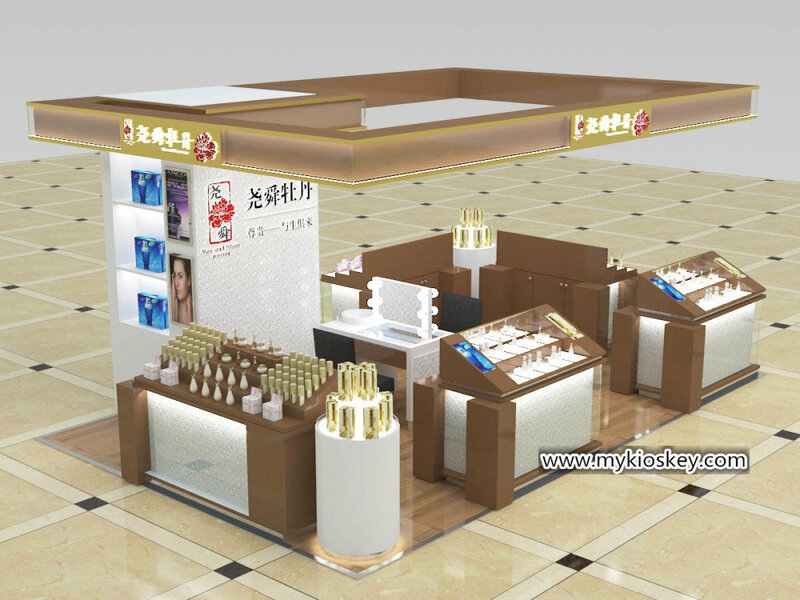 When you go a shopping mall,you will find on frist floor as usually are jewelry and cosmetic products display.cosmetic demand is very big,but recent years more and more young people prefer to choose a place which not only sell cosmetics and skin care products,also can supply skin care and facial care serives,where they are sit experience.So mall skin care kiosk becomes more and more popular. 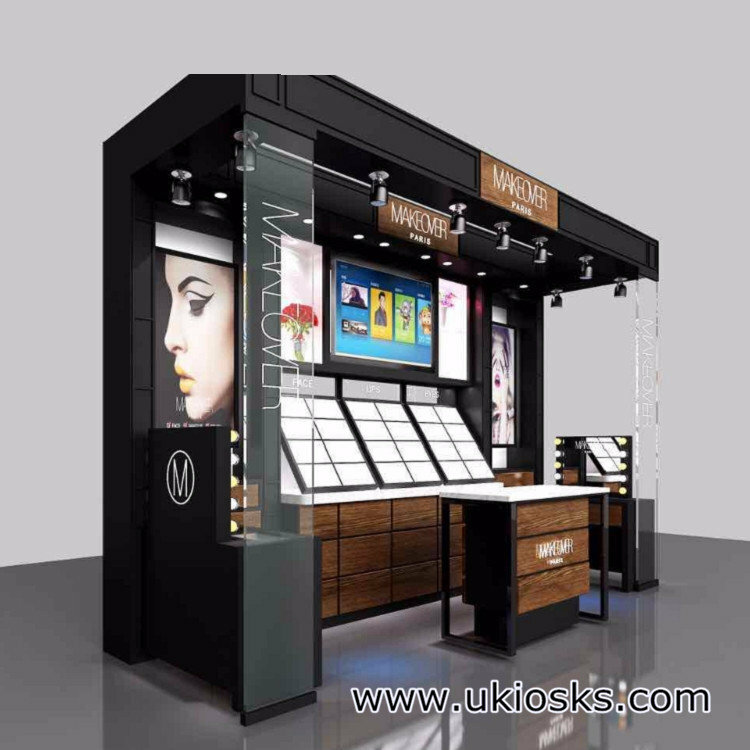 this mall skin care kiosk size is 10ft by 10ft,totally used elegant white.left and right have both skin care/make up stations,Between each two make up counters,there has a glass display to put the skin care products.Back has a big wall display for customers to select the skin care products they like. 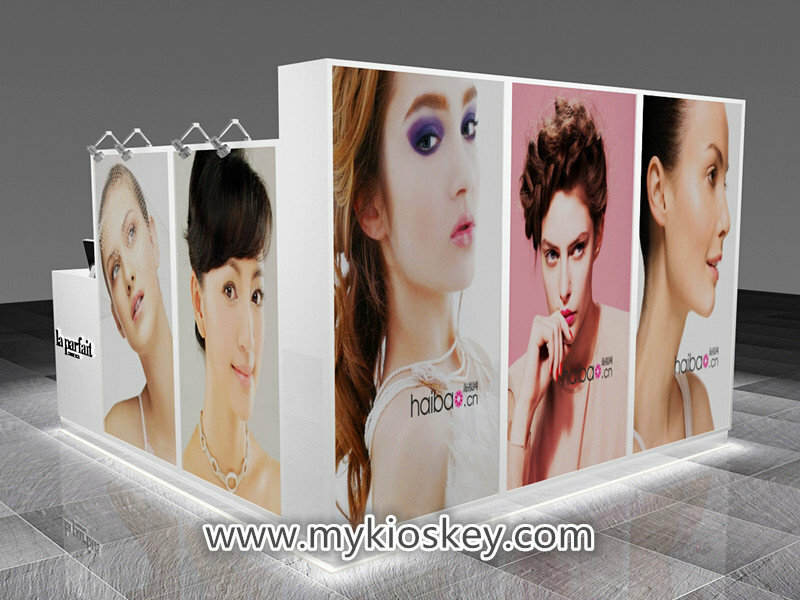 outside this skin care kiosk have many nice advertising posters.this mall skin care kiosk structure is simple but looks very nice. 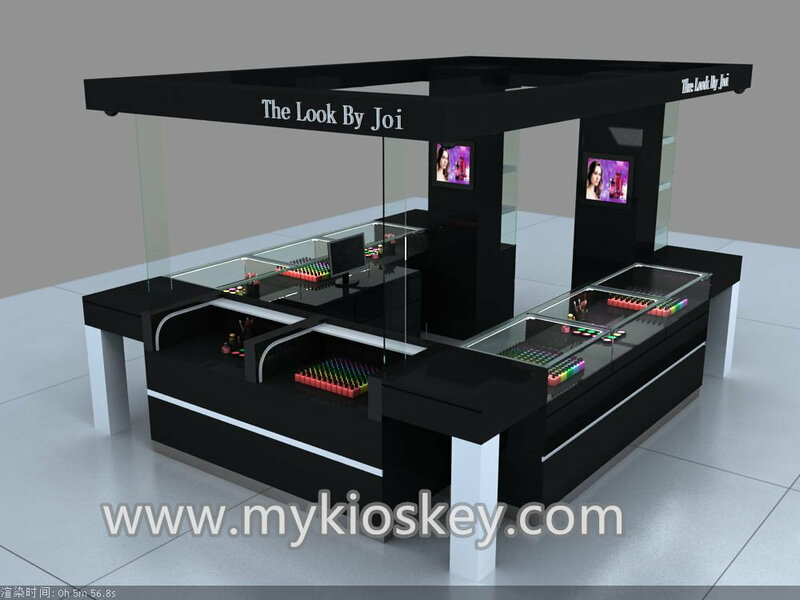 How to customize a mall skin care kiosk? 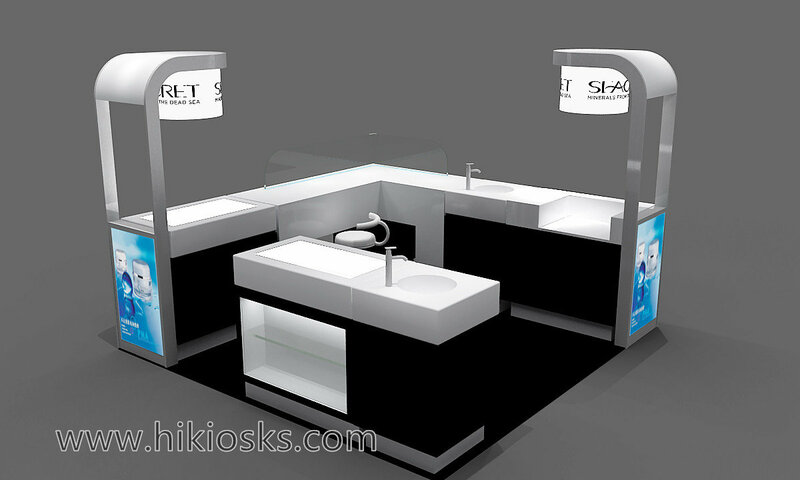 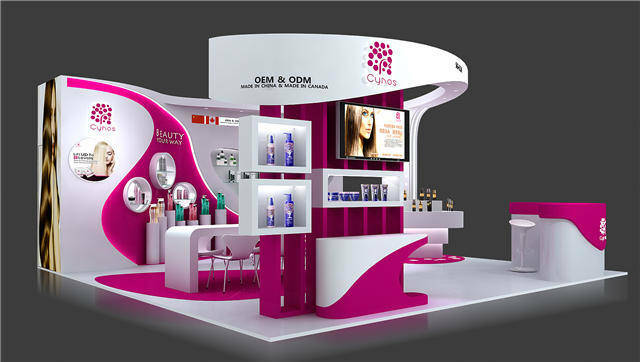 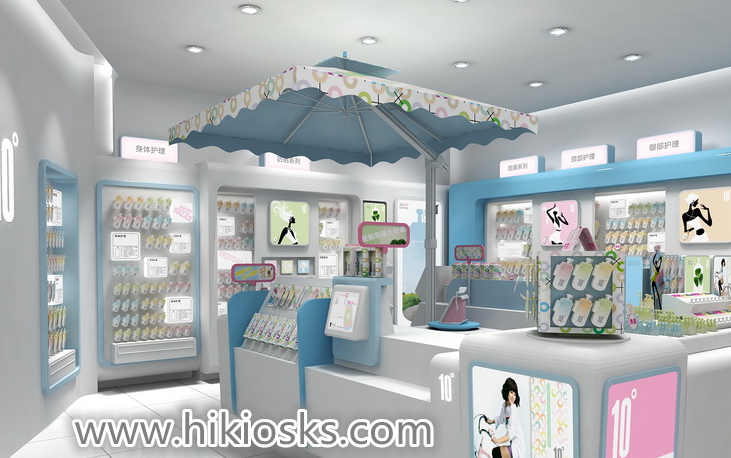 Why you can choose our factory to make mall skin care kiosk?